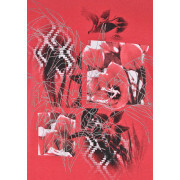 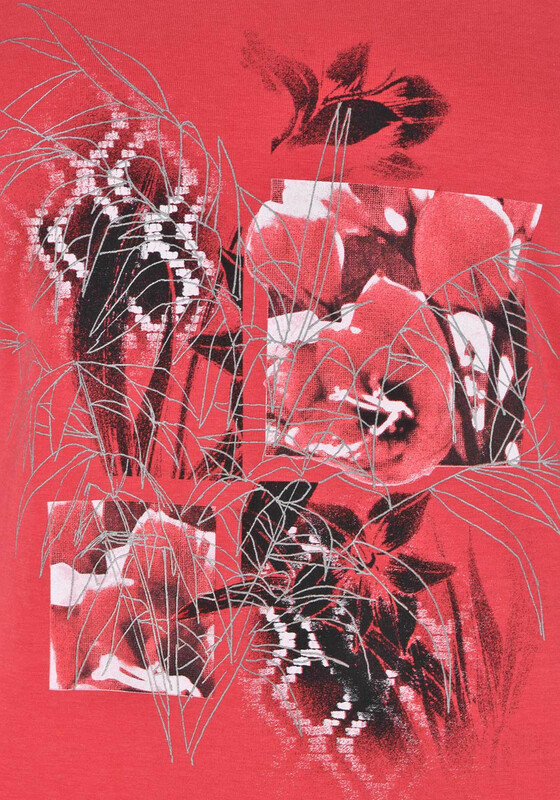 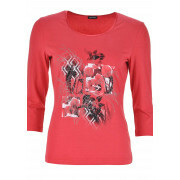 Gerry Weber presents this bold red t-shirt which would be a great update for your daytime wardrobe. 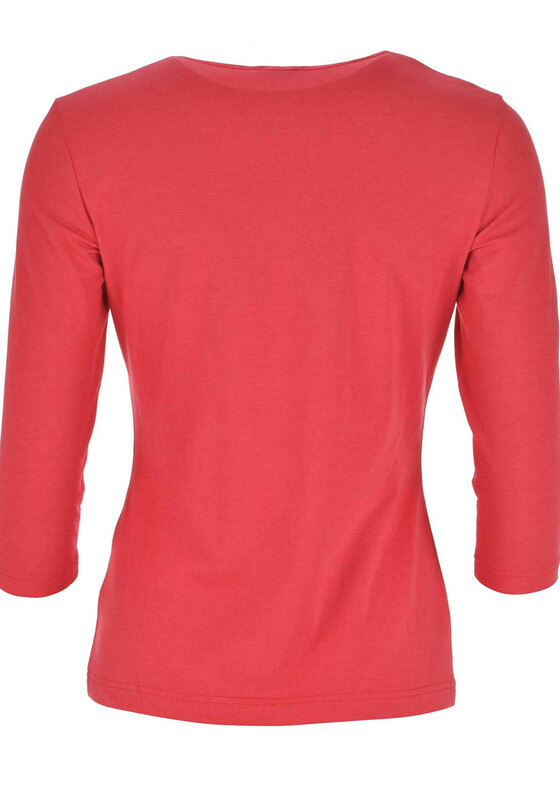 Create a casual look by wearing with black jeans and a cardigan. 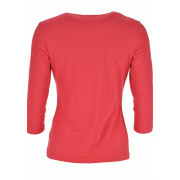 Made from comfortable cotton blend jersey fabric which will be soft against the skin. 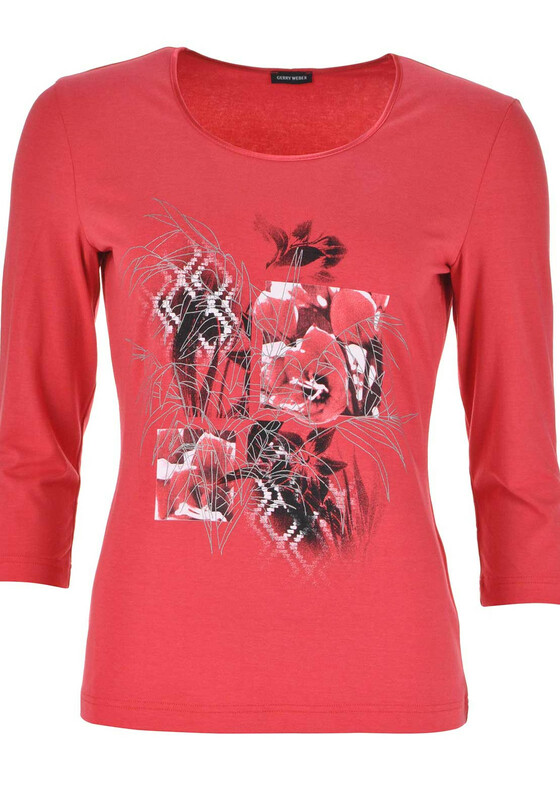 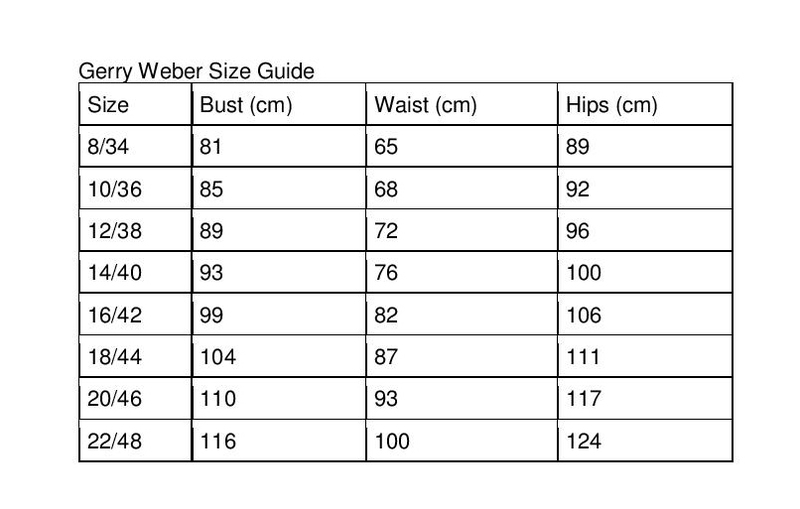 Other details include cropped sleeves and a graphic print on the front.